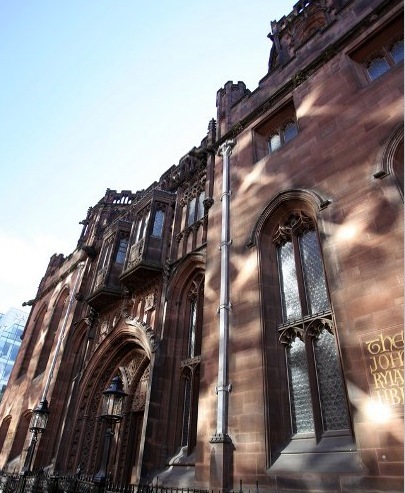 In a previous running of this course unit, the on-campus students made a field trip to the John Rylands Library, in Deansgate, Manchester. This is one of the UK’s most historic libraries, and we visited it in order that students could see how a specialist library like this works behind the scenes, and the many roles it fulfills in the preservation, management and dissemination of information. The Rylands is what is called a ‘Special Collections’ library, that is, it holds rare and old books and archives (for example, I have seen in there a letter written by Charles Dickens — whose handwriting was appalling, I should point out) and engages in physical preservation work. But as a library, it also has a role to play in securing access to these valuable informational resources. Hence, there is a balance to be drawn between preservation and access, with the library being the direct connection between these two equally valuable information practices. The syllabus subsequently changed, and this visit is no longer part of the course unit. But anyone within reach of Manchester is recommended to visit the library anyway, which is one of the most impressive libraries in the UK, architecturally. There is plenty in there to fill half a day. Directions and more information can be found at http://www.library.manchester.ac.uk/deansgate/. If you are not able to visit the Rylands, I encourage you, if you can, to visit a specialist library like this in your own city or country. Many are open to the public and will hold tours. Seeing what a specialist library like this does is, I think, a useful element of this course because it shows us that libraries are not simply repositories for books – but play a valuable role in information management and preservation, and that this is a discipline that takes specialist skills and knowledge.